Pensychnant is a special place; peaceful and timeless, full of history, memories and character. It is an inspiring and relaxing venue suitable for a wide variety of educational and training events, meetings and mini-conferences, or just peaceful enjoyment. The Pensychnant Foundation and other local wildlife charities and organisations have a full and varied programme of events, but if you have ideas for events or would like to hold your own community events here we would be pleased to hear from you. Car parking available for about 25 cars. Coaches by arrangement. Steps and uneven terrain!. Phone for advice. Pensychnant has a certain homely something which makes your events special. The Old Billiards Room seats up to 50 people on comfy upholstered chairs. It is well suited to lectures, talks and workshops, with equipment for slides, OHP or digital projection. 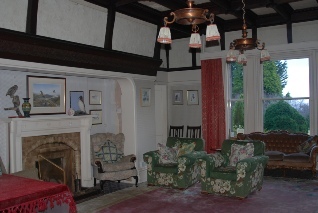 The Lounge, with a log fire in winter-time, will seat about 15 informally in armchairs and is an ideal relaxing place to chat over tea & coffee before or after meetings. 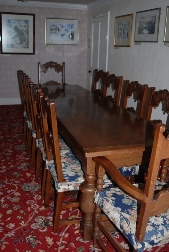 The former Dining Room seats ten, in style around the Arts & Crafts period table originally constructed for the Stott family in the 1920’s. It is usually used for committees and business meetings. We aim to be flexible. If you have special wants, please ask and though resources and time are limited, we will do our best. All proceeds raised from community events at Pensychnant will be ploughed back in to nature conservation and wildlife events at Pensychnant and locally. Guided walks can be arranged for community groups to see the birds and other wildlife on the Estate. Other events can be organised; moth trapping is a favourite with both adults and children and Pensychnant’s Archaeological Trail is good for walkers. 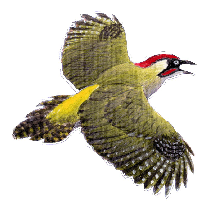 Talks about Pensychnant’s History & Natural History can also be given at ‘your’ venue. Learning through outdoor activities expands horizons, is memorable and is fun. 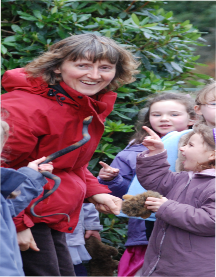 Pensychnant offers ample opportunities to learn about wildlife and nature conservation; local cultural history; about our place in the environment and our responsibilities towards our environment. Groups must be adequately supervised.